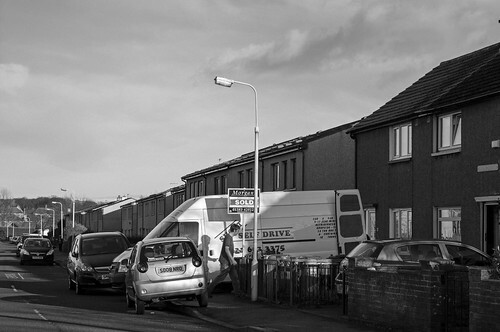 Day 46 of 365, a photo by Gordon McKinlay on Flickr. Today was a day of shifting furniture, lifting boxes and scraping knuckles. I now have sore shoulders and arms. Our son and his wife have a new home. They have just bought a house in the far east (Fife, to be exact). Once my arms and shoulders feel less sore I am sure I will, once more concur with this.